Good morning! 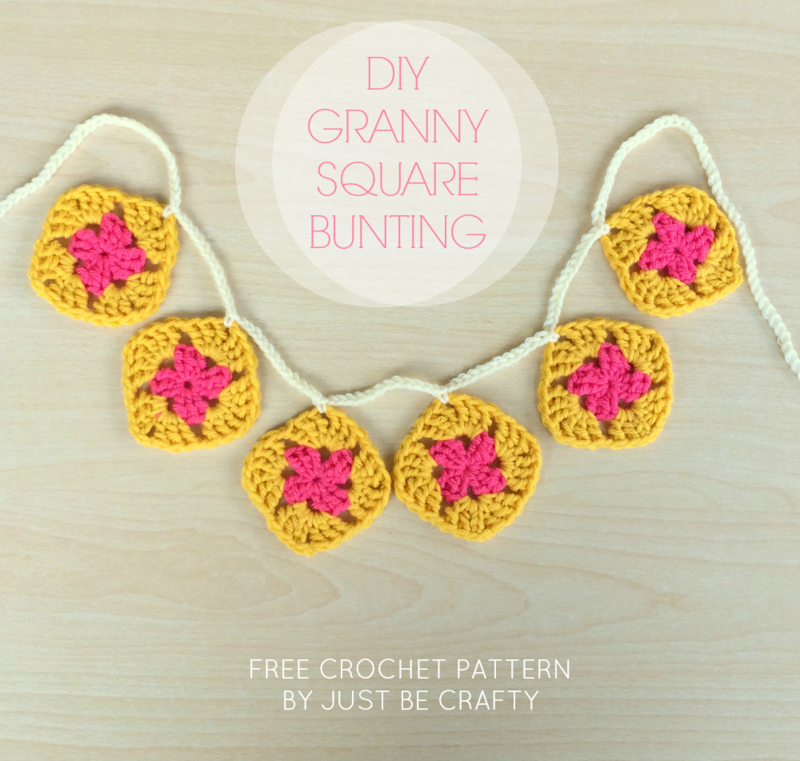 Today I thought I would share this super quick and easy granny square bunting project. I picked two of my favorite bold summer-ish colors, watermelon pink and mustard. 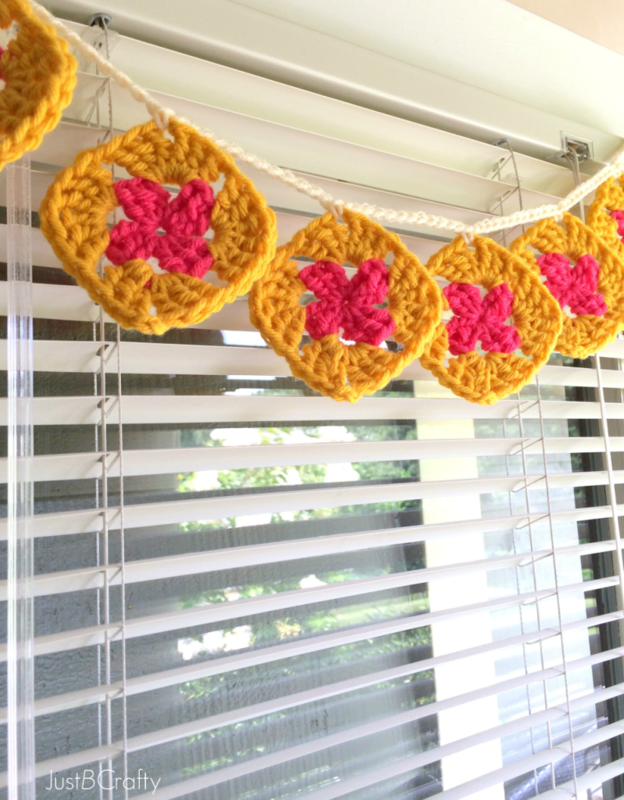 This bunting would look adorable in a nursery or just about any place you want to brighten up a dreary room or wall. 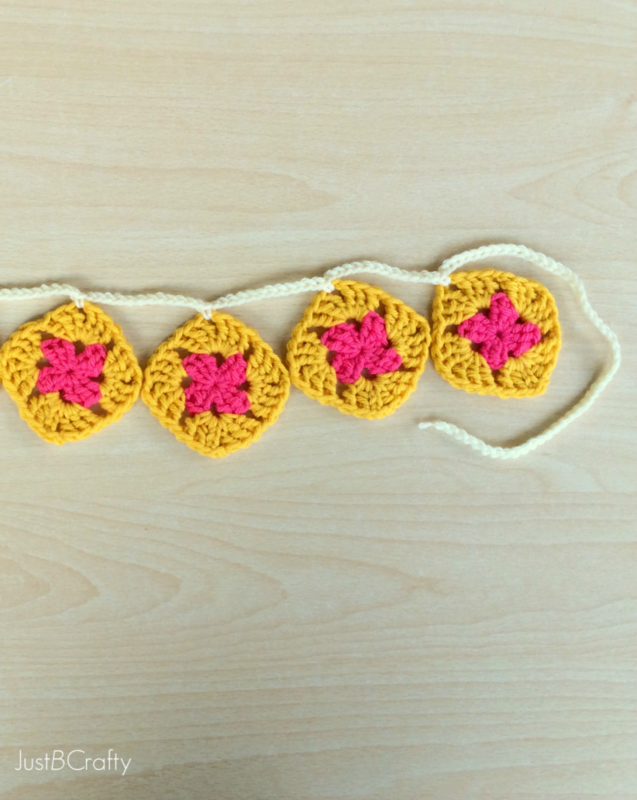 Round 1: in magic ring, ch 4 (this chain 4 counts as a triple crochet and a ch 1), 3 triple crochet, ch 1, 3 triple crochet, ch 1, 3 triple crochet, ch 1, 2 triple crochet; join with 3rd chain of the ch 4 at the beginning of the round with a slip stitch, slip stitch into the ch 1 space. Round 2: In the ch 1 space, ch 4 (this chain 4 counts as a triple crochet and a ch 1), 3 triple crochet, ch 1; in next ch 1 space, * 3 triple crochet ch 1, 3 triple crochet, ch 1; repeat from * in the next two ch 1 spaces; 2 triple crochets in next ch 1 space, join with the 3rd chain of the ch 4, and slip stitch into the ch 1 space. 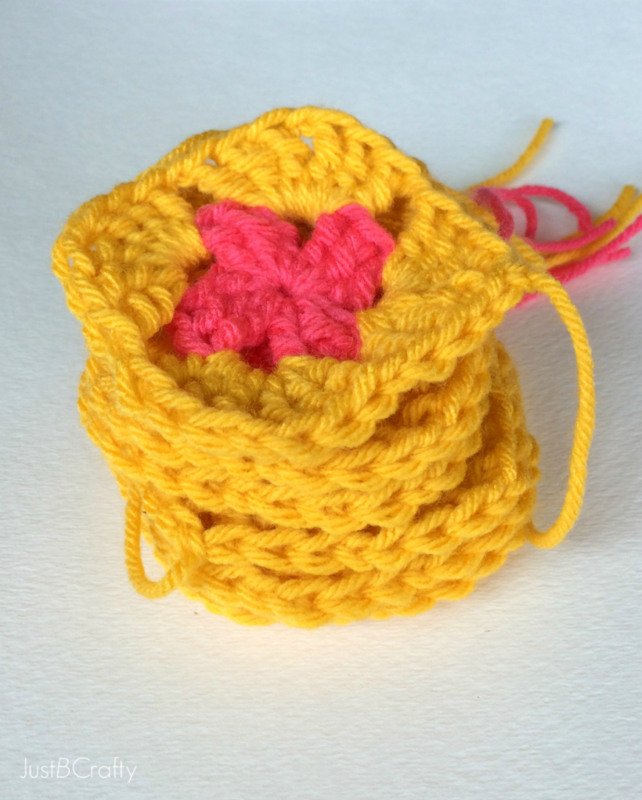 Make 6 of these mini granny squares. Weave in all tails. Chain 50, taking care not to twist the chains, sc into the corner space of the first granny square, ch 12, sc into the corner space of the next granny square. 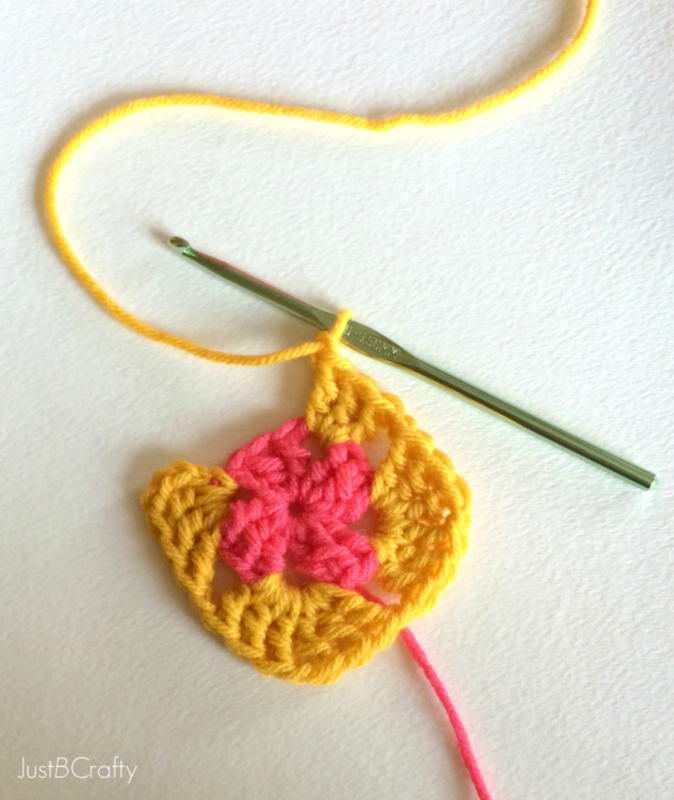 Keep repeating this process for the four remaining granny squares, ch 50. Cut yarn and secure. You’re done! 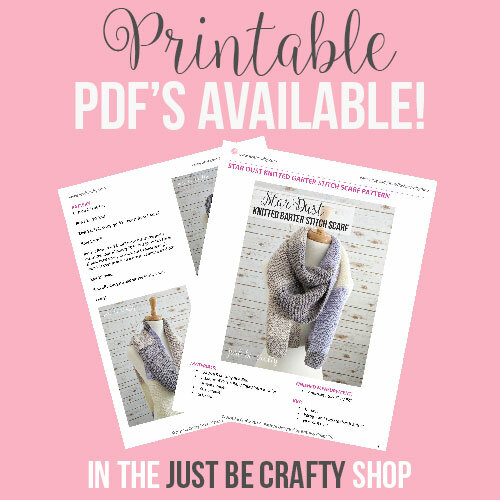 Now you can display your hard work! « NEW PATTERN!! Crochet Panda Hat! Super cute, Brittany! I like how you connected the squares with the long chain and sc.